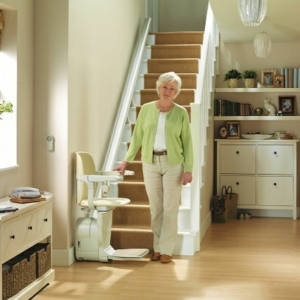 When it comes to everyday mobility, items such as stairlifts can be a giant help with getting around the house. 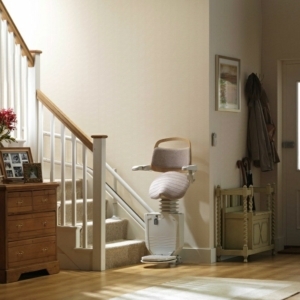 Offered as a practical solution, our Stannah stairlifts are fitted by ourselves to ensure you some peace of mind. 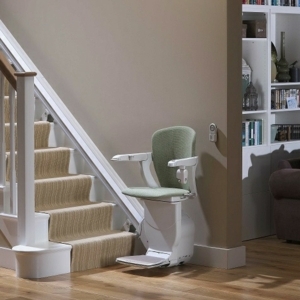 Our range of stairlift solutions includes curved stairlifts as well as straight stairlifts, fitted exactly to your specifications to enhance space and aid in climbing stairs in the best possible way. You can make a booking both online and directly via your local Millercare branch. 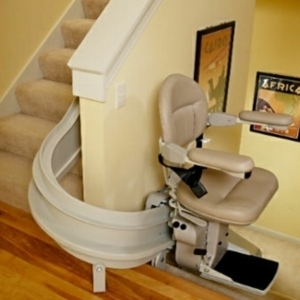 Along with seated stairlift designs, we can also offer rails to assist you in climbing the stairs. 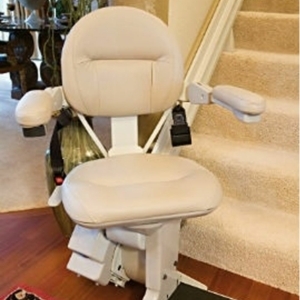 The Stair Steady is one of our dedicated products for this and offers a seamless customer experience. Installed within a few hours, this product is free from mechanical components, which means that you can access your home without the use of electricity. 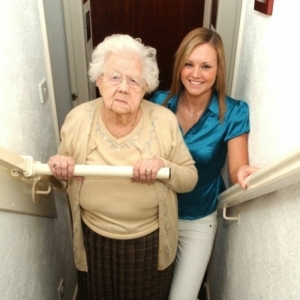 The Stair Steady is available to try out in many of our branches, or it can be ordered online and delivered directly to your door. Our in-store teams can assist you in finding the perfect product for your needs. 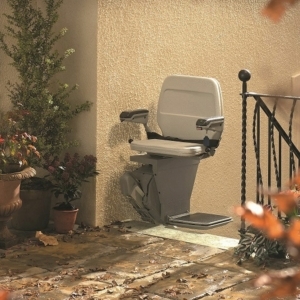 Whether you’re looking for curved or straight stairlifts, a fitted rail or something a little more customized, the Millercare staff will be able to help you find the best suited product for you. From there, they can book an installation and go through the payment process with you in store. 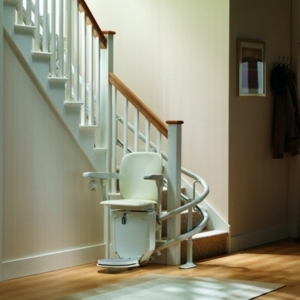 When it comes to stairlift prices, our products start at £495 for a standing aid, and £1295 for a seated aid. Every one of our products comes with 12 month cover (which includes breakdown support) and speedy delivery (usually made within 5 days of completing your order). To enquire about warranties or breakdown cover, feel free to call us on 0800 652 8533. We offer impartial and free advice to all of our customers, and aim to help them in finding the best product for their needs. If you would prefer assistance from staff at your local Millercare store, why not use our branch finder? This tool offers information and help on how to visit your local branch, along with contact information for the store. 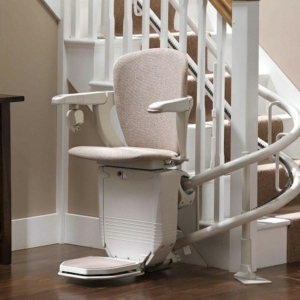 If you would like help finding the stairlift you are looking for, take a look at our Stairlift Buyers Guide.